YES! MOPS is for you! 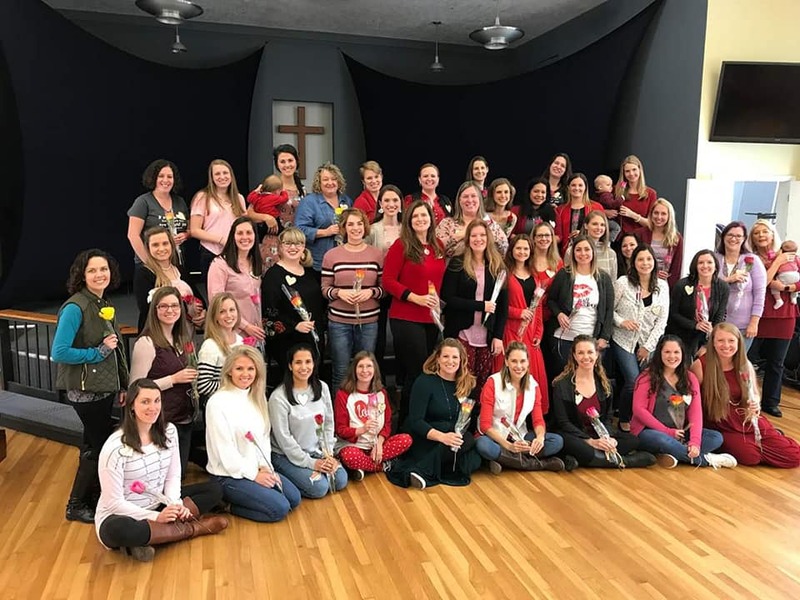 Attention moms: Saint Paul’s is starting their 8th year of MOPS! MOPS stands for Mothers of Preschoolers. We will meet the 2nd and 4th Thursdays of most months (September – May) from 9:15-11:30 a.m. in Sanders Hall. Our meetings are designed with YOU in mind. They will be a place where you can come and recharge yourself and know that your little ones are in a safe and loving environment. There is always plenty of food and fellowship along with fun crafts! Our speakers are always knowledgable and share on topics that are relevant to our lives as mothers of preschoolers. Also, we have a fun childcare program (MOPPETS) to include some enrichment for our kids as well! MOPS International exists to meet the needs of every mom – urban, suburban and rural moms, stay-at-home and working moms, teen single and married moms – moms with different lifestyles who all share a similar desire to be the very best moms they can be! MOPS recognizes that the years from infancy through kindergarten are foundational in a mother-child relationship and are filled with unique needs. We are a group of 50 moms who meet monthly to be enriched, supported, and to have some fun with other moms. Some of our favorite meetings in the past include SPA Day, Pinterest, Cooking Class, and Conscious Discipline. We are grouped by tables in order to have discussion time with other moms, and often we make a cute craft that goes with the theme. Throughout the month there are playgroups, Mom’s Night Outs, and other activities that moms can attend. The MOPS International Registration fee is $31.95 and is good for the calendar year. The annual fee for our group is $70.00. This covers crafts, supplies, guest speakers, etc. Our host church generously provides childcare for our group. The nursery rooms are split up by age range, so the kids have other children their age to play with. To register click here to begin the registration process, or if you have any questions, please contact Emily Farber, Membership Coordinator at [email protected]. You may also contact Jill Merryday, Director of Children’s Ministries, in the church office at 385-5146. Thank you for your interest in our Saint Paul’s MOPS Group! We hope to see you soon!